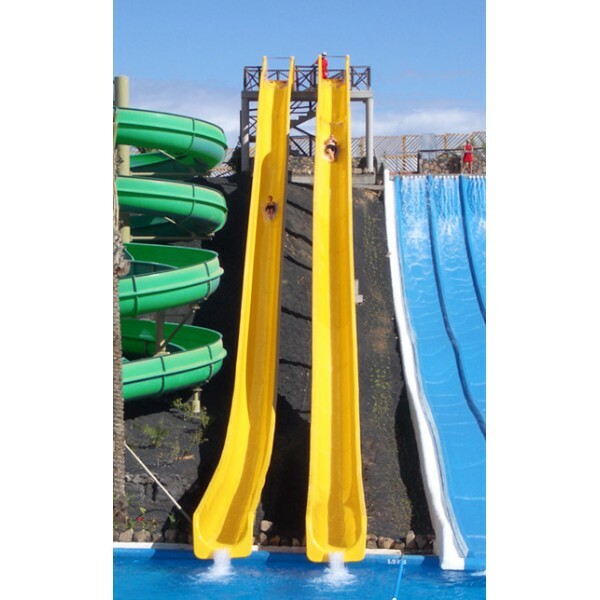 The Kamikazes are rapid descent slides which allow the user to experience rollercoaster and free fall sensations, depending on the different configurations of the same. This is an attraction for those people who love strong sensations. Its careful engineering allows the users to reach “flying sensations” in complete safety. 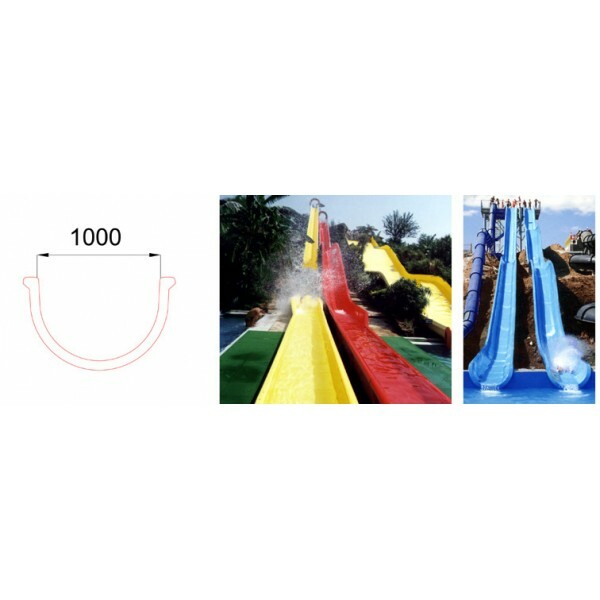 The slide is built with fibreglass reinforced polyester resins (FRPR), in straight sections of up to 1000 mm in diameter, which are joined with bolts and sealed. •Cook Gel Coat or equivalent, NPG (Neo-Pentryl-Glycol) with UV inhibitors. •Isoftalic resins with a 2 to 1 ratio with layers of chop and 0,5 kg of mat. •Colours integrated into the fibre with homogenous distribution throughout the slide. The metallic support structures are hot-dip galvanized, adapted to the slide path on foundations prepared for their erection. All the connection bolts are supplied, as well as the fastening flanges for the slide. The columns or supports are spaced approximately 4 or 5 meters from each other, in accordance with the design of the slide path. The exit tower is built from steel, with non-slip platforms and steps. • Entry sections, equipped with non-slip finish and designed for the easy connection to the PVC piping necessary for the water supply. • Sika Flex 1A for the joints. • M10 stainless steel bolts. • Support structures and fixing system. 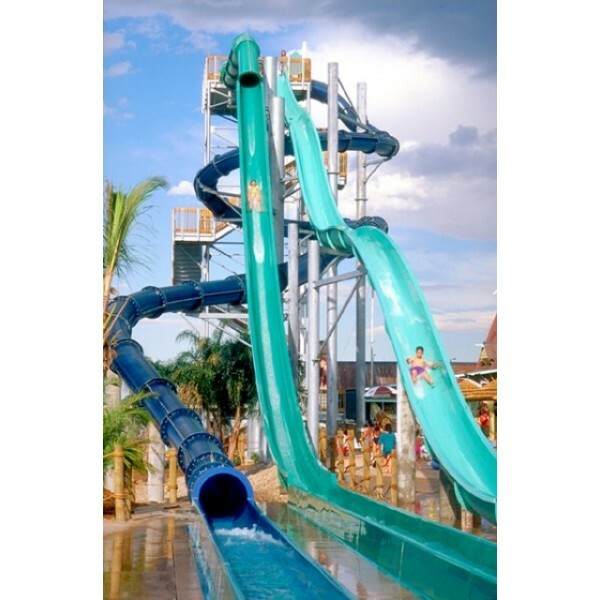 •Pumping system (including pump, electric panel and accessories for the correct operation of the slide). • Advice for architects, engineers and other professionals who participate in the works on account of the client.